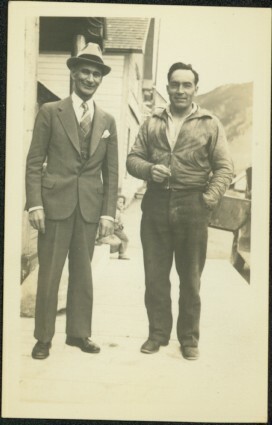 Glassey stands in suit and tie with unidentified man on wood boardwalk lining buildings on left. Small child, vehicle, and hillside can be seen in background. Stamped annotation on recto of photograph: "-41".